Today’s post comes courtesy of AJ Wilcox. AJ is a passionate marketer, blogger and all around lover of display advertising. Enjoy! As a marketing director, I’ve had lots of experience with signage and display, and I wanted to share my experiences to help other businesses looking to get the most from their public displays. 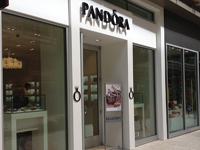 Your storefront signage is way more important than you realize. Not only does it serve the purpose of getting people to your door that are looking for you, but it also acts as a constant billboard that you don’t have to pay thousands per month for. Don’t skimp on the signage either. Go ahead and get the larger banner, or backlight some channel letters. Add yard signs to put out by the street for greater impact. If it’s noticeable, it will pay off. 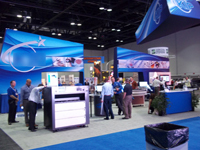 When a young business is just getting started with marketing, often they consider events like trade shows where they can exhibit and show their product off to the world. The greatest part is that you get in front of potentially thousands of people in a short amount of time. Plus you get to control the experience quite easily for consistency. By the time a customer sets foot in your store, there’s a good chance they’ve already significantly interacted with your brand. If their first impression wasn’t what it should have been, it’s a lot harder to turn that around. Sometimes, that first impression is out of your control, so having an in-store atmosphere that conveys exactly the feel you want is extremely important. 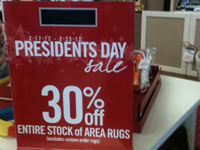 Indoor displays can range from vinyl banners to lit wall signs. Whatever your space and business scope calls for, do it. If you’re a retail location, the bulk of customer purchase decisions are driven while in your store, so creating an environment that ensures the highest outcome of purchase decisions is pivotal to your success. When you’ve touched every other form of display, the natural progression is outdoor advertising. We all see billboards daily, and the notoriety that comes with being present on a billboard is akin to television advertising – the perception is that your brand is highly successful. Besides all that, it’s an ego trip to see your company’s message while driving down the freeway and having friends mention they saw your ad. Before pulling the trigger on a billboard ad, consider your marketing strategy and the relative weaknesses and strengths of billboard. 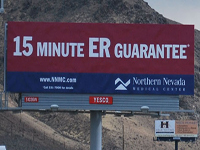 Realize that billboards are supreme branding enforcers, but poor direct response mechanisms. They get lots of eyeballs, but are not good for segmenting those viewers. If your product is universally applicable, or at least applicable to a large segment of the population, and you’re concerned with branding, a billboard would be a good choice. Are there other types of display that you’ve used for your business? What experiences have you had with the types discussed in this post? About the Author: AJ Wilcox is the marketing director for GiantPrinting.com. He loves display in all its forms and enjoys teaching others about marketing and advertising. He’s an exotic car aficionado and runs for fun. He lives with his wife and kids in Utah.